To make the mint sauce, place the vinegar, sugar and mint in a bowl and stir to combine. Set aside. Place the oil, vinegar, sugar and mint in a bowl and stir to combine. Place the lamb in a large baking dish. Score with a sharp knife and sprinkle with salt and pepper. Pour over the oil mixture, cover and refrigerate for 1 hour to marinate. Preheat oven to 200°C (390°F). Roast the lamb for 45 minutes for medium-rare or until cooked to your liking. 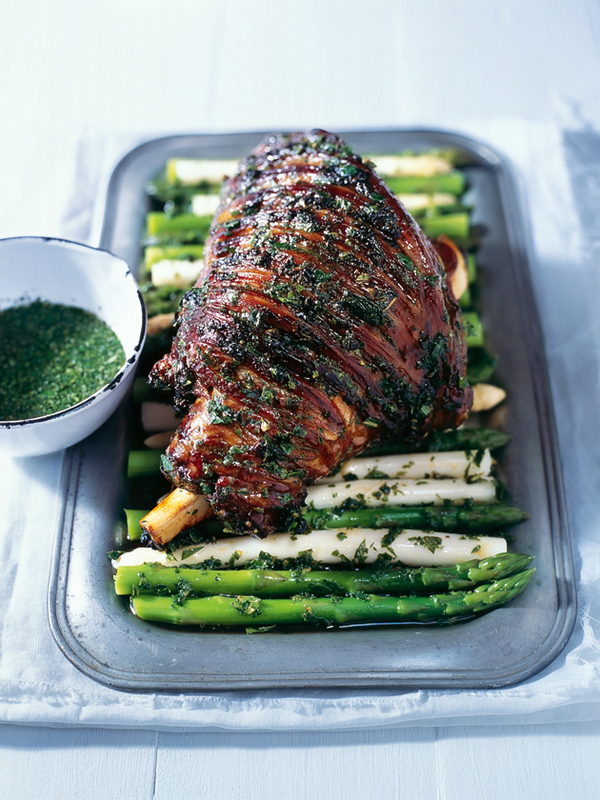 Serve with the asparagus and mint sauce. Serves 4–6.